For the last few days, I have made an attempt to remain silent on the events in Ferguson, Missouri. I assumed if I stayed logged off and ignored the news, I would some how be able to bypass the responsibility of exploring my feelings. Then it happened. I googled the name Michael Brown, and I saw the young black man that was gunned down and left to die by a police officer. I saw his picture and began to have flashbacks of my old neighborhood in Little Rock, Arkansas. I started to remember how cops would randomly stop the guys in my neighborhood and harass them for absolutely NO REASON. I had flashbacks of the terror in my male friends’ eyes when a cop would pull his baton to “question” them about where they were headed. I remember cutting through the alley when we saw a particular cop riding through because he was notorious for provoking people and arresting them. My naivety would suggest “it was always a coincidence that the white cops were patrolling the Black neighborhoods,” but history would prove that not to be the case. Seeing this young man’s picture reminded me of the past I tried to forget about, and I wept for him and all the others whose stories are similar. I rarely speak on issues that involve Racism publically, but my heart is too heavy to hold it inside of me. I have been considered a sellout, as I have sided with the Others instead of my “brother/sister.” I have used my Christianity to keep me from being the Pro Black extremist. I have made every effort to make people feel comfortable in their skin all the while neglecting mine. And today I had to feel my Blackness! I had to wrestle with what it means and what it entails. I had to become reacquainted with the hurt of being in a country that values the life of a dog over yours. I felt the lashes. I heard the chains. I smelled the burning flesh of those before me whose color made them candidates for a hanging. I felt the pressure of the water hoses, and I heard the sounds of the batons on black bodies who would sit in and boycott inequality. I saw the dogs. Now, I hear the shots fired at the unarmed by those who are paid and have sworn to protect us. I see the legislation that is written to keep us prisoner or free our murderer. I read the comments that cowards behind screen names post explaining their disgust with people of color and their desire for our extinction. Today I felt Black and Unarmed. I wrestled with the idea of allowing hate to consume my heart, but love won possession of it. I considered being bitter, but holding on to the joy of our future was far more appealing. I pondered on revenge, but being spiteful makes for a lousy human being. I thought about being angry, but that does not fix anything. The death of Michael Brown resurrected some feelings about my people and our experience in this country. This even broke my silence and revealed the deception of the world I created. Truth is Racism is here to stay and being Black will remain a crime in certain places of the United States. We do humanity an injustice when we downplay it and deny its existence. The mature response to Racism is exposing it and loving people beyond it. Charity, thank you for expressing your heart. The Lord is humbling me over and over as I realize my white privilege and the devastation our country is demonstrating. We have a long way to go but you are a bridge. I love you! Emily I love you too. The reality is none of us can change the color God gave to us; but we should put forth an effort to understand the injustices that every ethnicity face. There is a lot of work to be done and conversations to be had to better understand one another. I completely agree with you. I’m so sickened by this and have been even before. It’s sad to think that I don’t even want to live in a country where our race doesn’t matter, whether a woman or a man. There is, however, a blatant disregard for a black man’s life and I can’t stand where this country has gone. Nothing has changed and it’s hard to not hold resentment or hatred towards people who decide to hate on skin color alone. 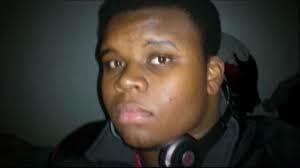 I’m praying for Michael Brown’s family and this country, because it’s so far gone. Continue to be prayerful, as will I, and I hope that something will change. Change was supposed to come, but it never came.